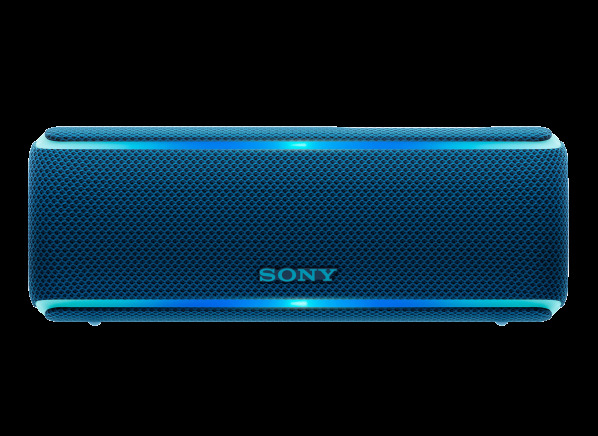 A Sony wireless Bluetooth portable speaker system. A Bluetooth wireless portable speaker system from Sony with an analog input and lighting and sound effects. USB cable, warranty and quick start.